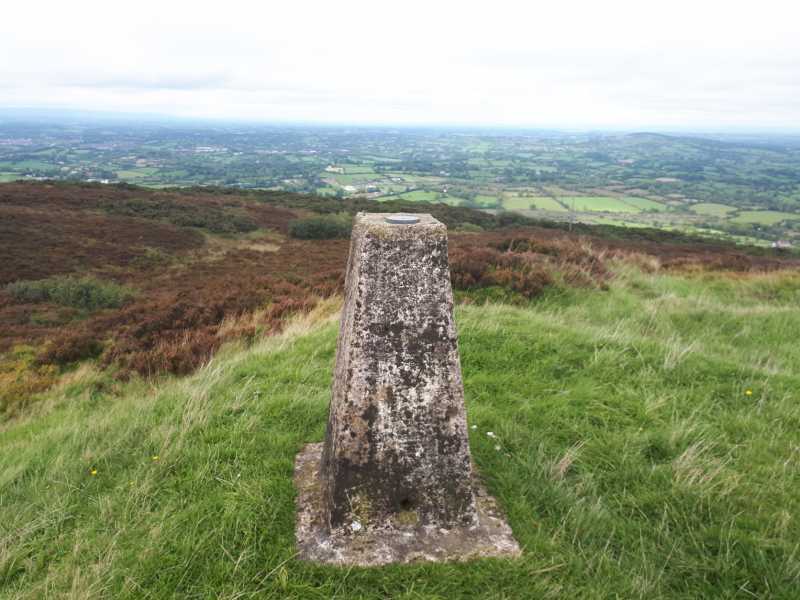 Slieve Glah, near Cavan Town, is the highest point in Central Co. Cavan. It has fine views Lough Sheelin, Lough Gowna, Lough Oughter and Upper Lough Erne. There is a Giant's Grave on Slieve Glah; and a big stone at Lavey two miles east is said to have been thrown by the Slieve Glah giant at his brother in Lavey (Máire MacNeill, 'The Festival of Lughnasa', p. 174). Slieve Glah is the second highest hill in the North Midlands area and the 1107th highest in Ireland. Picture from TommyV : Trig point on Glah. Picture: Trig point on Glah.